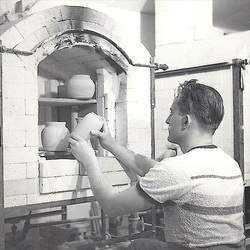 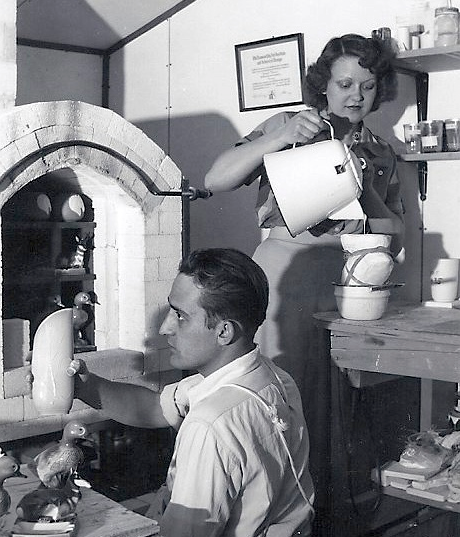 One of the first orders of business in the new studio was for Joe to get his kiln designed and fired up before any Ceramics by Messer could be created. Each of the kiln bricks you see here were carefully carved by hand to create an air tight fit for firing. 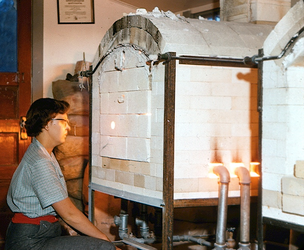 The unfired pieces...from prairie dogs to large vases could then be placed on shelves to be fired at 2500 degrees. The process of designing and building this kiln took longer than the coop renovation to complete. 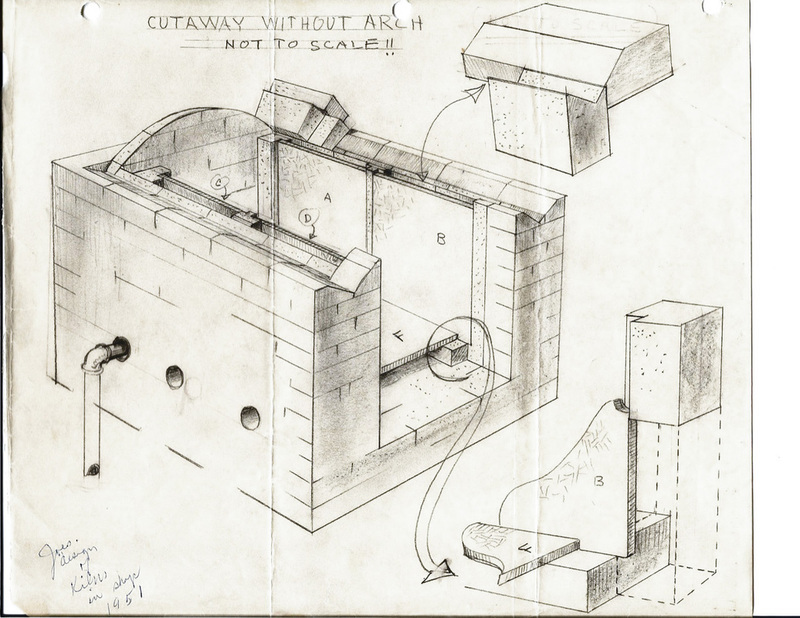 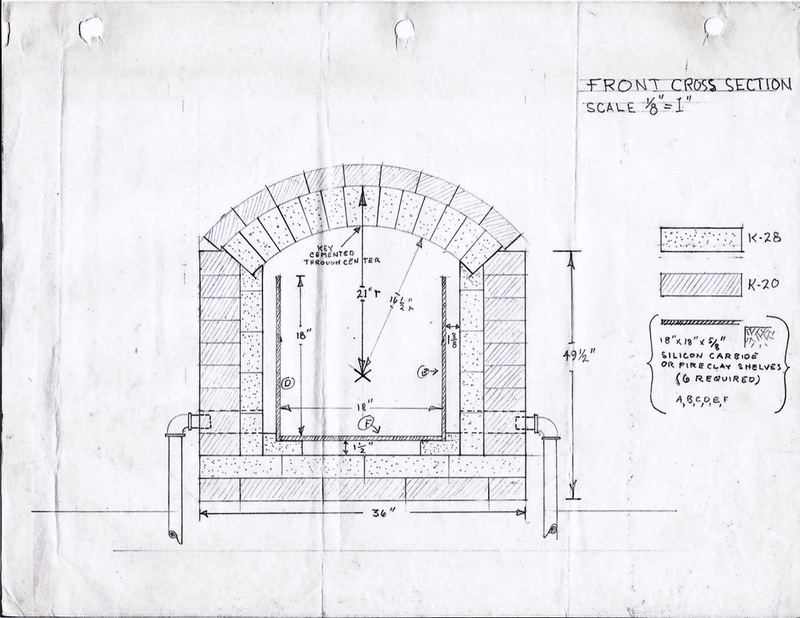 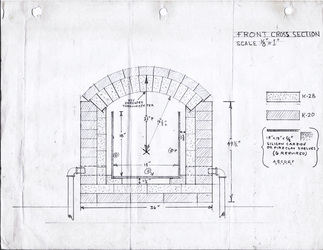 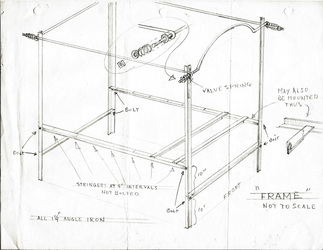 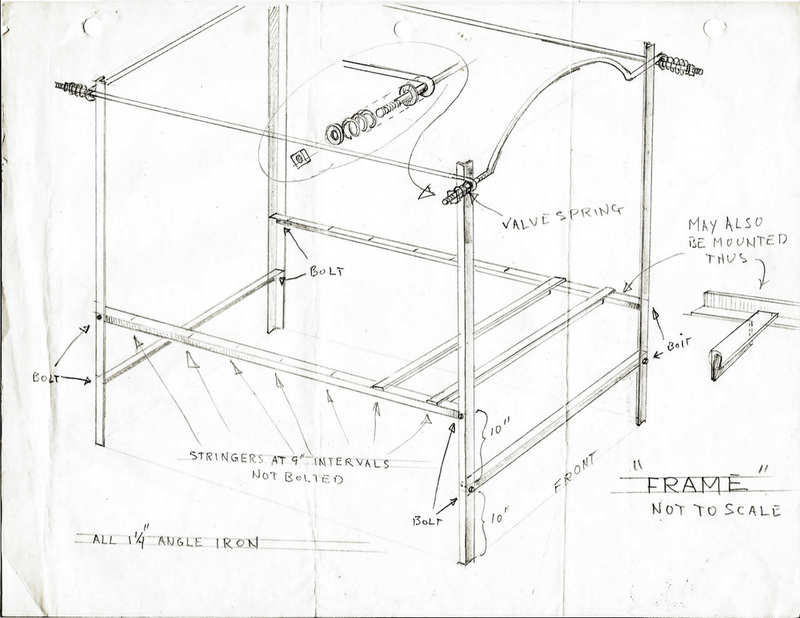 Below you will find images of Joe's original sketches of his design for this exact kiln in the photo!